Samsung Galaxy Tab Pro 8.4 has a general score of 7.84, which is a little bit better than the Galaxy Tab S 10.5's overall score of 7.56. Both tablets in our current comparisson come with the same Android 4.4.2 OS (operating system). Samsung Galaxy Tab Pro 8.4's body is just a bit thicker but noticeably lighter than Galaxy Tab S 10.5, and both of them were released with only a couple months difference. Galaxy Tab Pro 8.4 has a little more vivid display than Samsung Galaxy Tab S 10.5, because although it has a much smaller screen, and they both have the same exact resolution of 2560 x 1600, the Galaxy Tab Pro 8.4 also counts with a just a bit more pixels per inch in the display. Samsung Galaxy Tab S 10.5 features just a bit more storage to install applications and games than Galaxy Tab Pro 8.4, and although they both have equal internal storage, the Samsung Galaxy Tab S 10.5 also has a SD memory slot that admits a maximum of 128 GB. 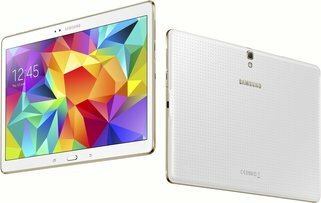 Samsung Galaxy Tab Pro 8.4 counts with a little better performance than Galaxy Tab S 10.5, because although it has a lower number of cores (but faster) and lesser RAM memory, it also counts with an extra graphics processor. The Galaxy Tab Pro 8.4 and the Galaxy Tab S 10.5 both have very similar cameras, and although the Galaxy Tab S 10.5 has lower 30 frames per second video frame rate, they both have a 8 mega-pixels back facing camera and the same video quality. Galaxy Tab S 10.5 counts with a really longer battery performance than Galaxy Tab Pro 8.4, because it has 7900mAh of battery capacity. 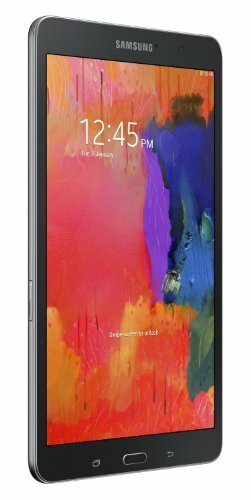 The Galaxy Tab Pro 8.4 not only is the best devices of the ones we are comparing here, but it's also cheap compared to the other tablet, making this tablet an easy choice.